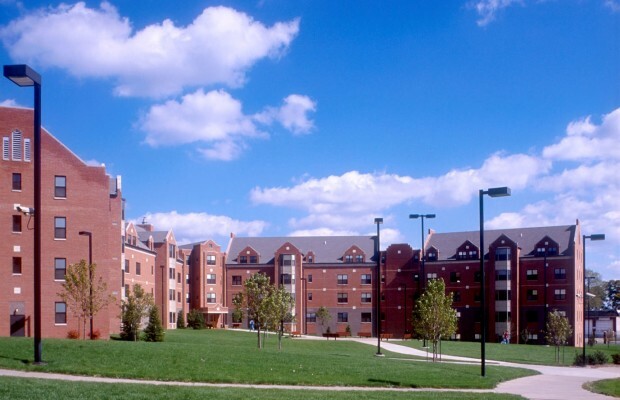 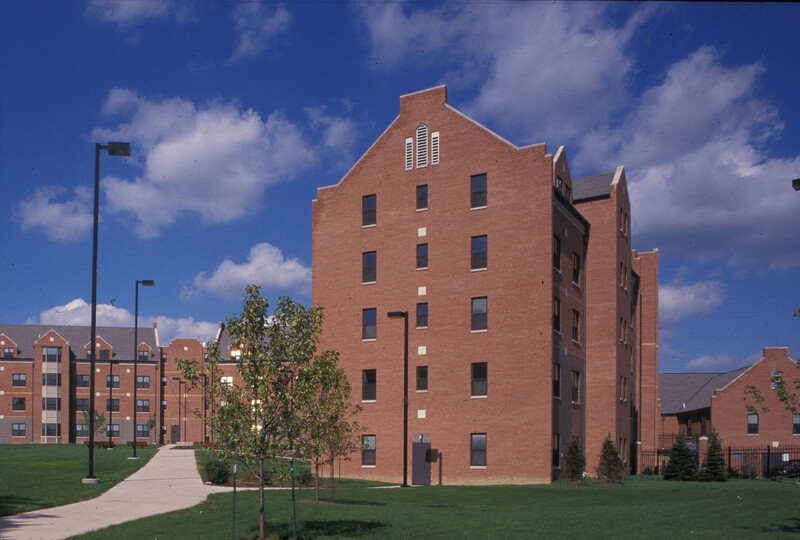 Cafaro House | BSHM Architects, Inc.
Cafaro House is designed to accommodate 274 residential students in Youngstown State University’s Honors Program. 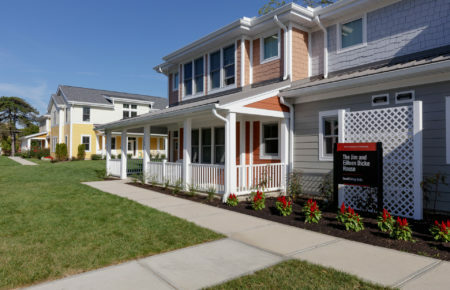 The housing units contain a variety of configurations including traditional double-person rooms, 4-person suites, 8-person suites, and 16-person suites. 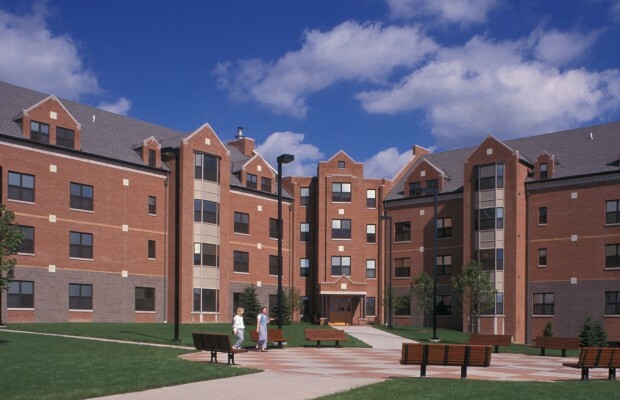 Suites contains their own common living and bath areas. 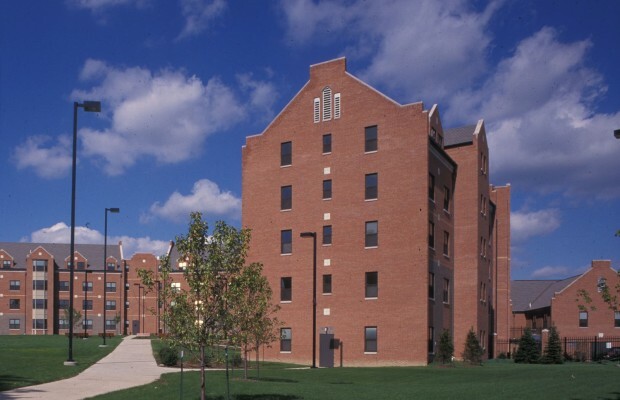 RA rooms have private baths. 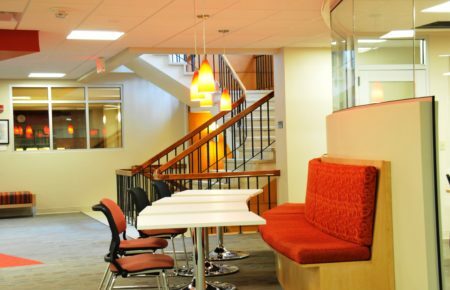 Each student space has its own individually-controlled HVAC unit. 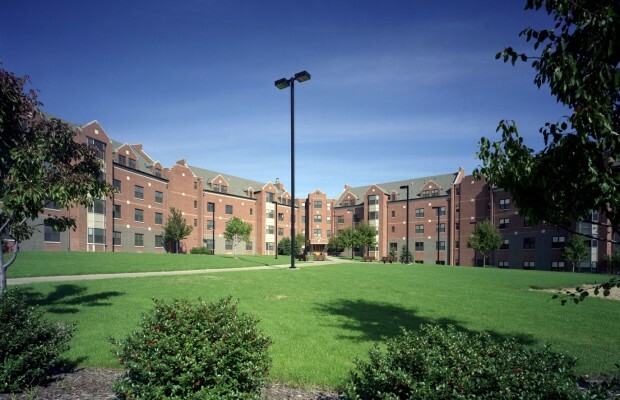 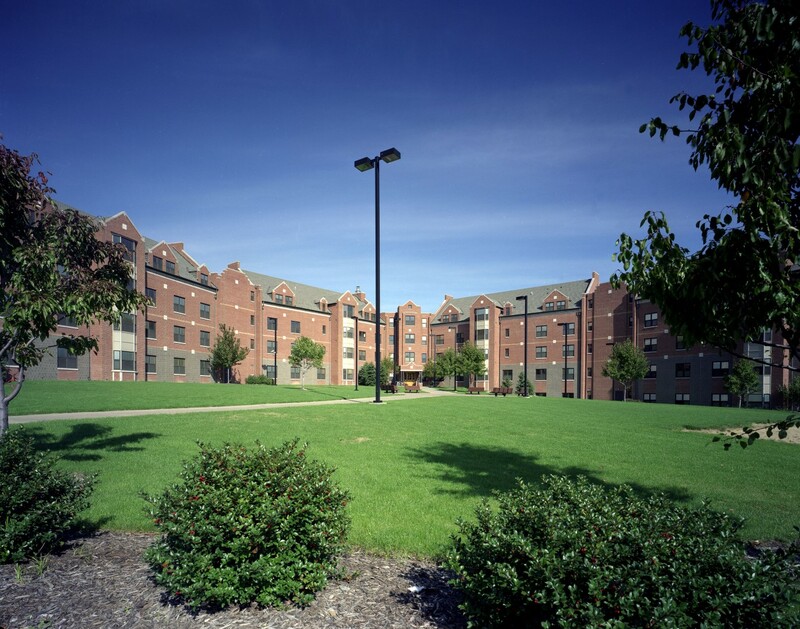 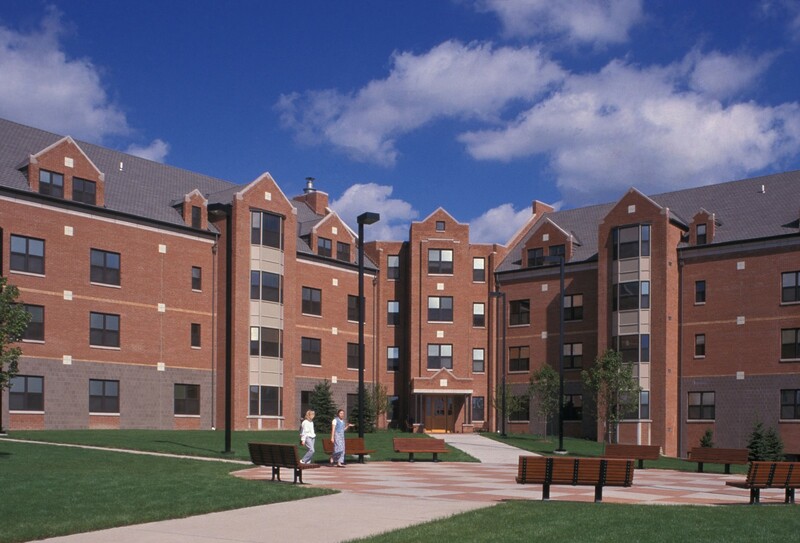 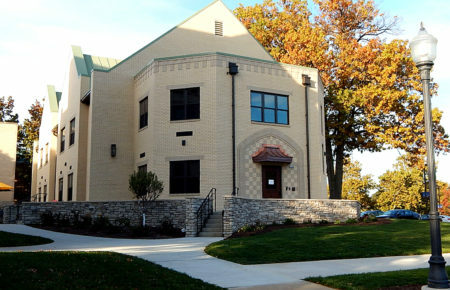 The building also contains the Resident Director’s apartment, staff offices, a visiting scholar’s apartment, and the Honor’s Program Director’s Office and support space. 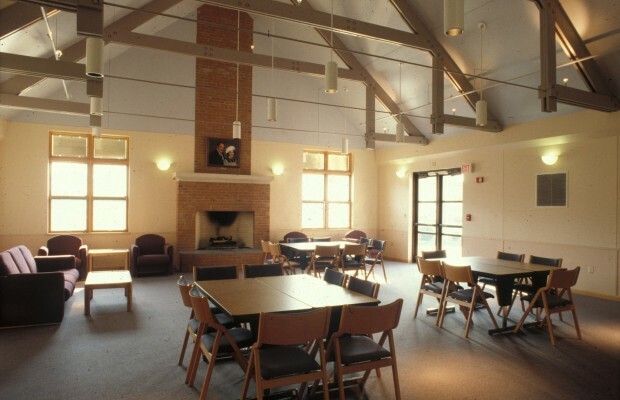 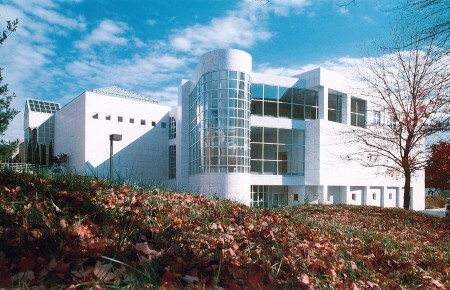 An academic wing houses the computer center, a multi-purpose room with fireplace, and the Honors Seminar/Library Room. The lower level contains service areas, a laundry, an exercise room, snack area, and a gameroom and lounge.